The Nintendo DS stylus is destined to become much more than a stick used to poke things. Rumors on Nintendo's next handheld are already flying around (and I'm not talking about the already announced DSi XL), with insider sources revealing a possible tilt function last week. The latest speculation involves future DS styli that could rumble in our hands. The speculation was kicked off by a recent Nintendo patent addendum that includes the mention of a force-feedback stylus. The patent clearly involves the DS, as it begins: "A game apparatus includes an LCD, and a touch panel is placed on a top surface of the LCD." It then details a method through which the player of this apparatus can attack enemies in a game, saying: "In a case that the enemy character exists at a depth of a game screen, little damage is applied to the enemy character, and a weak vibration is applied to the game apparatus. Conversely, in a case that the enemy character exists at a front of the game screen, much damage is applied to the character, and a strong vibration is applied to the game apparatus." Mentioned in the patent application imagery (found here in PDF format) are three different levels of vibration, all "transmitted to the fingers or hands of the payer via the stick." It looks like someone forgot to spellcheck, but this statement implies that Nintendo wants to patent the idea of rumbling sticks, i.e. styli, in relation to touch-screen play. This idea is a natural progression for the Nintendo DS, seeing as how Nintendo Wii Remotes already rumble in a similar manner. If it weren't for handheld gaming taking place so close to one's face already, I would expect a speaker to be included in the stylus like the Wii Remote too. 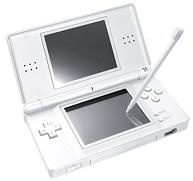 The basic premise of wireless technology being used to alter the DS stylus' functionality paints a future for it to become less a "stick," and more of a controller. Though the "DS2" is but a rumor for now, I'll be very interested to see what Nintendo comes up with. Perhaps morphing styli someday?